1. Design and draw Hell's Bells! Last edited by yoitisi; November 25th, 2008 at 08:14 PM. i won't be here for this one, but i will be here for the next one! This calls for some research, man. I promise I'll actually try this one, this time. Ooh, this one may just be too good to pass up trying (even if I'm horribly rusty at drawing anything). * Pandemonium from Milton's Paradise Lost is definitely coming to mind. Research time! *(Edit 11/27/08 ) So after a little research of bell history, construction, design, and theme I made a few sketches (sadly can't upload stuff on my days off work since I don't have high speed net at home). As much as I love the decadance of Pandemonium the big challenge there is making the design hellish enough (without being cliche or too sexually themed) since a city covered in gold isn't exactly most peoples vision of hell. Decided to look into some Asian inspired designs as well, and natures version of "hell's bells"...the spiky fruited hallucinogenic plant. Heavily considering going with the more Asian design combined with the Datura plant inspiration. (Mostly because I've had to sketch from memory the last two days). May practice doing the Western style church bells, but my lack of skill in perspective and other issues make me cringe away from that. * Update: 12/02/08 Since I've never done any type of industrial design before extra time was figured into how long it would take for me to complete the project... real life got in the way a bit (although for the most part in good ways that can't be complained about). The project won't get done, but figured it would do me some good to practice rendering a bit anyway. Last edited by Aphotic Phoenix; December 2nd, 2008 at 07:26 PM. I just ate my reference! Hope I can hack it! If it is worth doing, it is worth doing well. umm so the topic is about hell's bells - so by bells you mean bells like church bells right? Max Challie: Hey dude good to see you in here I try to vary the topics a bit so I don't think it's that odd a topic. Just no long brief this time. Brewin: Uhm yes that was the basic idea off this topic. 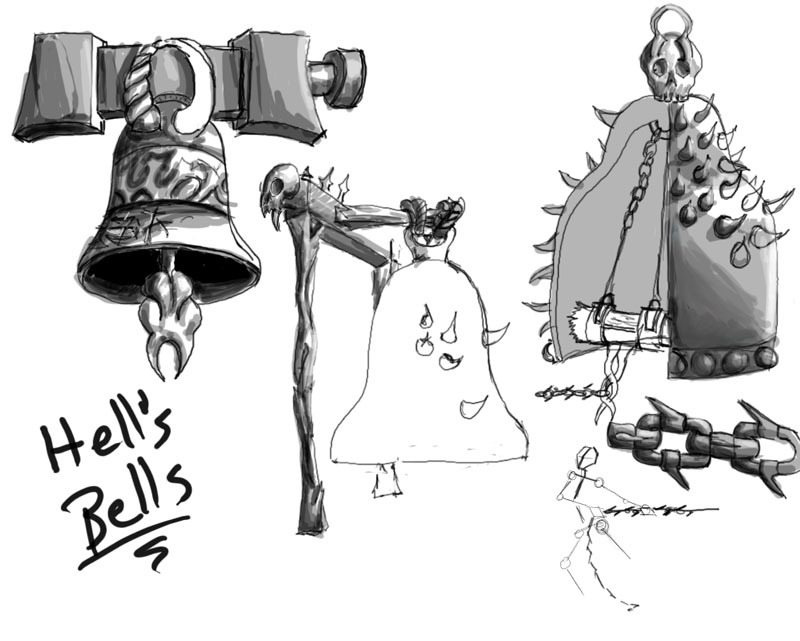 Not sure what other kinds of bells you could come up with, if it's something original and cool I might even allow it. I would advise to stick to bells as in 'church bells' though. Sketches I did in a night class. I'm not sure if I can finish this, nor do I like any of these sketches Don't want it to be too organic but it's steering itself that way. night blue: bells are typically organic because of their flowing and curvy lines. in order to make it less organic look at tighter shapes and straight lines combined with angles. Hmm, this could turn to be a fun thread to follow. Now I just wish my wacom wasn't dead. Back to pencil, ink and a scanner. im having tonnes of fun designing this, great topic yoitisi! so, which wip do you like more? Neat topic! I'm guessing a lot of people (relatively) this week. I immediately thought of the Dresden Files, but then actually saw it had nothing to do with it. Harry's favourite phase... Darn. I've got a page of sketches but my scanner isn't hooked up. ......So I did some sketching in PS. Last edited by Pixie Trick; November 28th, 2008 at 07:56 PM. 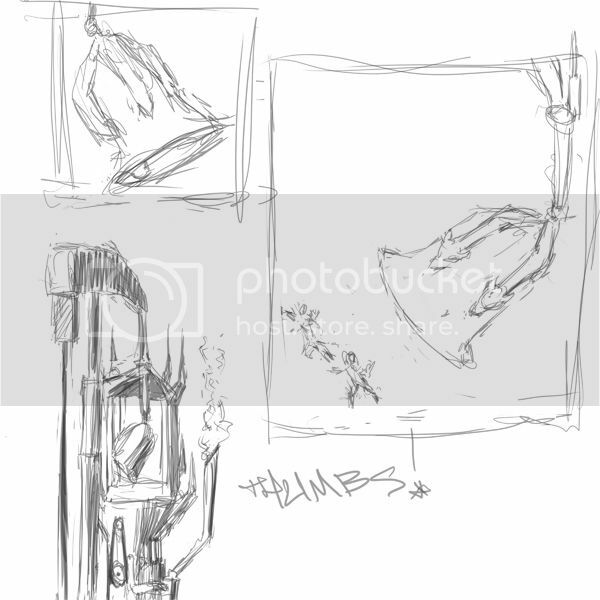 Just some quick roughs on the train, nothing too innovative yet I'm thinking, but it's fun anyway. Here some inspirations of form and structure being able to accomodate several bells. I think that the challenge lies in the support and not in the bell itself. fr : Voici quelque inspirations de forme et structure pouvant accueillir plusieurs cloches. Je pense que le défi réside dans le support et non dans la cloche elle-même. say to me what you think of it. fr: Dites-moi ce que vous en penser. I think this is probably the best IDW topic yet. Can't wait to see what happens. Just getting some ideas down..
Hey, this is my first attempt at a IDW, I liked the topic, it got me thinking, then drawing. 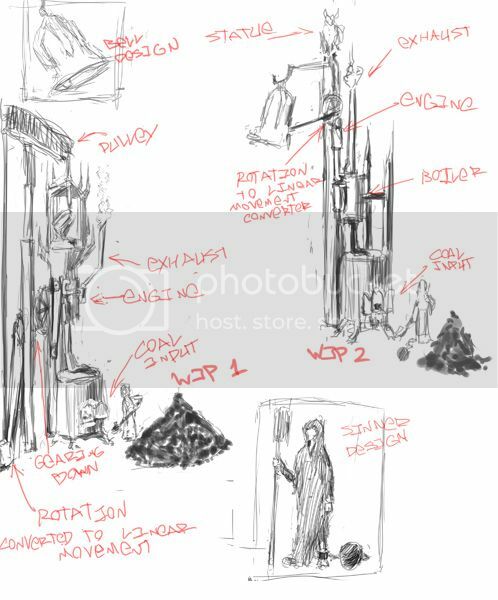 My concept is a gigantic bell that has three levels of prison cells for the damned (what could be worse then being stuck in a giant ringing bell forever?). Also since it's hell, each bell has three bells that ring inside it, into infinity. Here's a quick sketch - I eyeballed pretty much everything, so I'm going to go back and do a 3D model to help me keep the perspective in order. 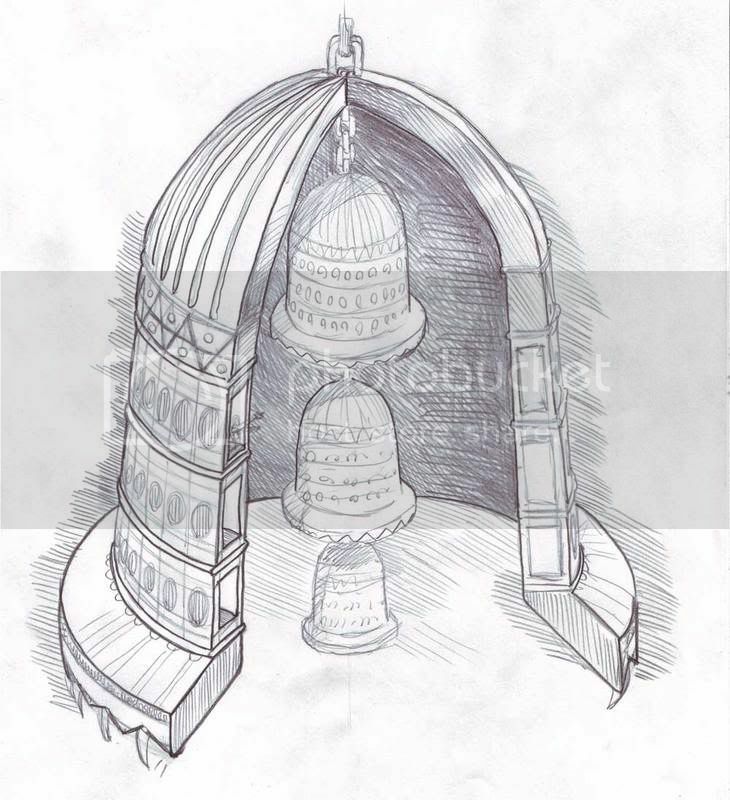 I also did a cutaway view so you can see the cells in the wall of the bell, and the three bells in the center. 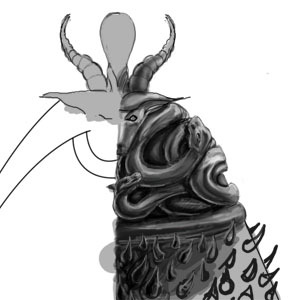 I'd also like to make it look more demonic, I that will come as I add details, and work on the 3d model. I'm totally open to any suggestions or crits. Brewin - I like that steaming bell tower, looks really cool, and I like the claw-like connection your bells have on the top. Nightblue - Your organic demonic bells are really wicked, love the flowing lines. Mr Jack - Nice castle sketch, i like your quick sketchyness, that half-bell looks great. Daestwen - cool concepts, I like all the cloth flowing in the wind and the branches. Last edited by Fenster; November 29th, 2008 at 12:25 AM. When you make a reply to a thread, click the "Go Advanced" button. On the new page you'll notice a little paper clip icon. Click that and a pop-up will appear with an upload page for your image. Fill in the necessary information (this will bind your copyright to the image) and choose the file to upload. This will attach it to your post. If you want to place the image in your post, close the pop-up and click the paper-clip icon again. You'll get a little drag-down menu with the names of your files, and if you click which one you want, it will put in a bit of attachment code into your post. Otherwise, it'll just attach them all in a box at the bottom. heres wat ive been working on. I need to fix up the top spikes and am still thinking about what to put onto the surface of the bell. I was thinking like screaming faces but would like a second opinion. Any advice? Wip. I looove, long weekends. It still has issues, and pointers as to what exactly would be very, very welcome. I'm contemplating doing the skull one from above just for practice too... maybe see which is better. ? It's a multitasking bell- it holds prisoners and makes a horrible noise. Aphotic Phoenix- Not crappy. I really like the chain design you've made. It's hard to go wrong with spikes and skulls. Brewin- Really neat towers. They're a little hard to make out what they do with a glance. I don't know... (ask yoisti for sure) .. but I think the idea is more the bell than the tower it's in. Mr--Jack- I like the way you sketch, very loose. gurfturf: !st post- nice thumbs. Personally I interpret the topic as the bells being the focus, but your ideas are very interesting. My fave it the second from the top of the furthest left column. I think you could do some neat things with the danglies. 2nd post- again neat idea. I think this is more in with the topic. Fenster- ..the ringing in my ears never stops... ARGHHHH, yes being trapped in a giant bell would be hell. Nice eyeballing. Pulse- Screaming faces sounds great. 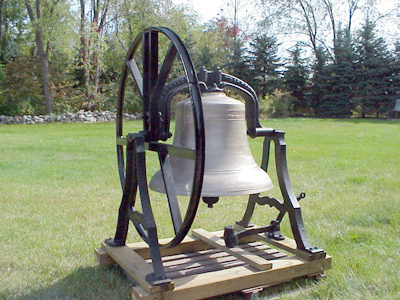 I think your bell would need somthing on it for sure. Right now I'm just thinking castle fortifications, not hell so much. Guess I'll join the party. Few sketches, I keep having to restrain myself from doing an environment with this topic. had a lot of fun rendering this, though it really is just a fancy bell, nothing too original or psychological about it... I was planning to do a cut-away with tormented souls of some sort plastered to the inside of it but I ran out of time so here we go! Enjoy, and good luck to y'all. Is the deadline today 11:59 .PM or tomorrow 11:59 P.M? GurfTurf: Deadline is in about 30 hours from the time I post this. Depending on my schedule tomorrow, it might be slightly longer than that even. Other than in previous rounds, I decided to go with the same system as most of the other weekly activities of making a finals thread in which you have to post your final entry. The new copyright system makes it rather hard for me to set up the poll otherwise, and it would undermine the copyright system too in a way. So, if you finished your entry make sure you post it in there before the deadline! Cintiq 12wx + cs5 = anoying notification bells sounds?